Two young women who failed to return from a hike near Lions Bay Tuesday have been found safe and sound. 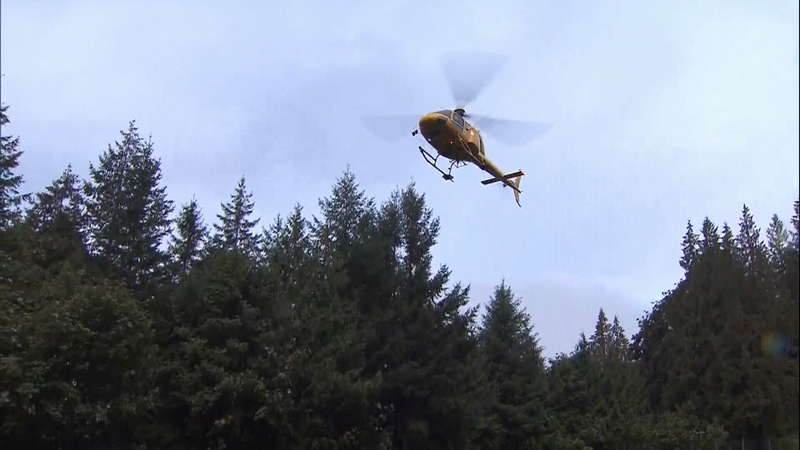 A rescue effort involving multiple search crews and a helicopter was launched Wednesday morning after 18-year-old Akasha Sage and 19-year-old Jane Kondradova Wendel didn't come home from what was supposed to be a daytrip on Lions Trail. But in the end, the hikers managed to make their own way out of the woods. After spending the night hiding out from the rain in a cave, the pair hiked down the mountain to a highway, where a driver spotted them and picked them up. "We kind of stuck near this river the whole time that took us all the way down to the highway," Wendel said. The hikers, who were cold and hungry but uninjured, said they lost their way on Tuesday afternoon and their cellphones ran out of battery. "We were using our GPS and the phone died," Wendel said. "Then it got dark and it started hailing so we had to take cover in a cave." They also said they wished they had been better prepared, at least with warmer clothes and a compass. "There's a bunch of things I'm going to do differently now. It's a big eye-opener," Wendel said. "I would like to thank everybody who came looking for us – search and rescue and everything, that's amazing. I can't believe it." 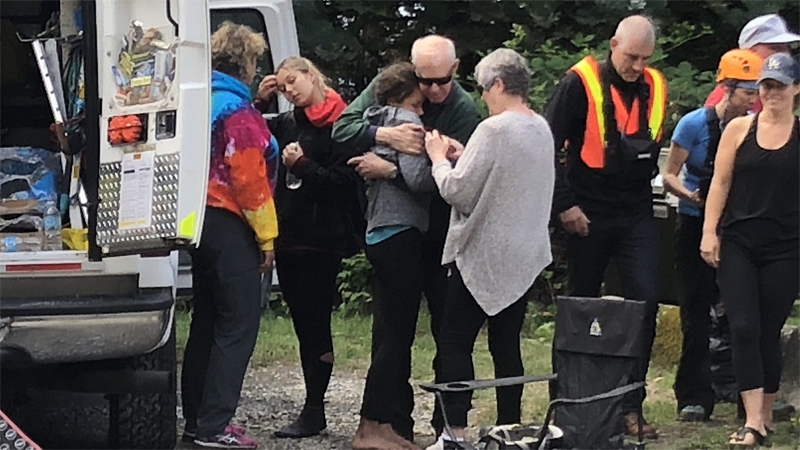 The outcome was a relief for their worried families and for members of Lions Bay Search and Rescue, who were concerned that the wet overnight weather might have left the young women hypothermic. The only clues about their whereabouts were a car left near the Lions Trail trailhead, and a ping at a cell tower that registered from one of their phones at around 4:20 p.m. Tuesday. Though authorities believed the hikers had headed out on Lions Trail, search manager Martin Colwell said there are other mountain trails in the area they had to search just in case. Rescue crews are searching for a pair of young hikers who went missing after heading out on Lions Trail on Tuesday.